Marjorie Perloff’s stunning book was one of the first to offer a serious and far-reaching examination of the momentous flourishing of Futurist aesthetics in the European art and literature of the early twentieth century. Offering penetrating considerations of the prose, visual art, poetry, and carefully crafted manifestos of Futurists from Russia to Italy, Perloff reveals the Moment’s impulses and operations, tracing its echoes through the years to the work of "postmodern" figures like Roland Barthes. 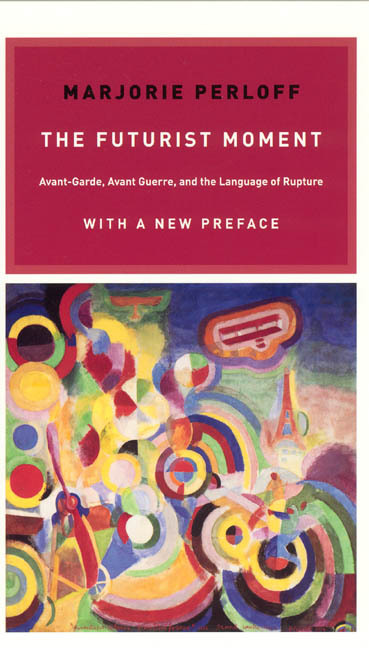 This updated edition, with its new preface, reexamines the Futurist Moment in the light of a new century, in which Futurist aesthetics seem to have steadily more to say to the present. 5. Ezra Pound and "The Prose Tradition in Verse"